Alive! 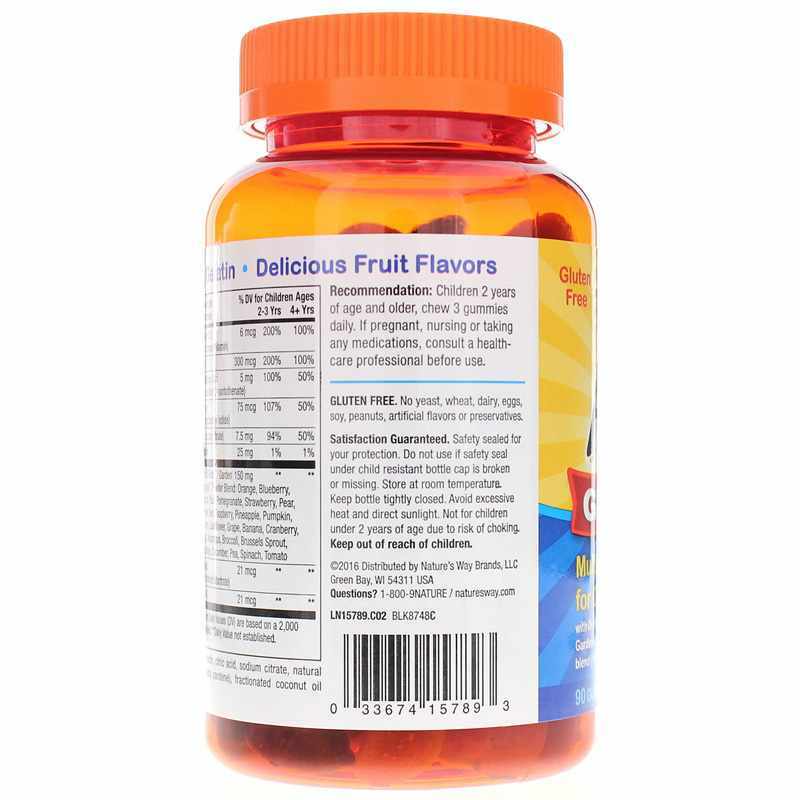 Gummies Multi-Vitamin for Children is a gelatin-free gummy multivitamin for kids made with 26 fruits and vegetables plus nutrients to support the health and growth of your child. 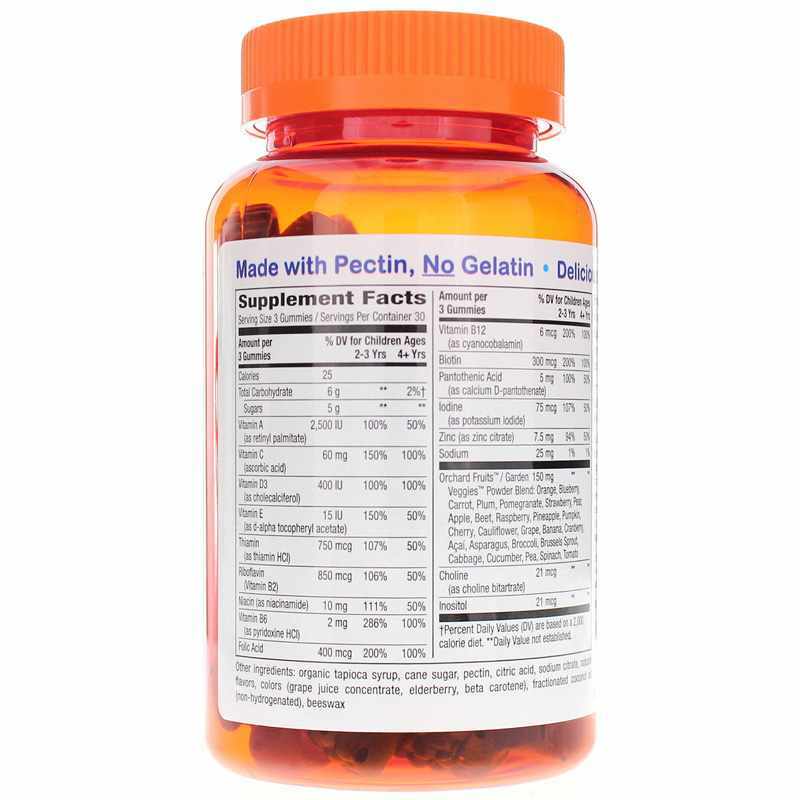 More complete and potent than other gummy multivitamins. Other Ingredients: organic tapioca syrup, cane sugar, pectin, citric acid, sodium citrate, natural flavors, colors (grape juice concentrate, elderberry, beta carotene), fractionated coconut oil (non-hydrogenated), beeswax. Contains NO: gluten, yeast, wheat, dairy, eggs, soy, peanuts, artificial flavors or preservatives. Children 2 years of age and older: chew 3 gummies daily. Not for children under 2 years of age due to risk of choking. If you are pregnant, nursing, taking medications or have a medical condition, please consult your healthcare practitioner before use. Keep out of the reach of children. My kids love the Alive Multi Vitamins. 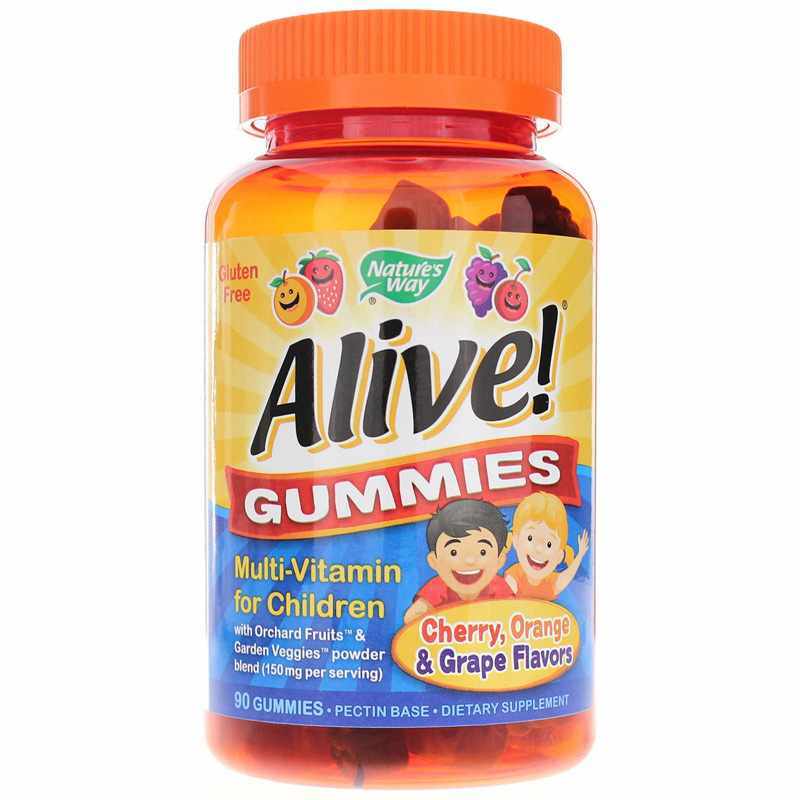 My daughter (3.5) LOVES the Alive Multi-Vitamin for Kids Gummies. I've tasted them too and the taste is wonderful. Perfect for kids. Plus they resemble fruit snacks so my daughter was eager to try them. Great product!